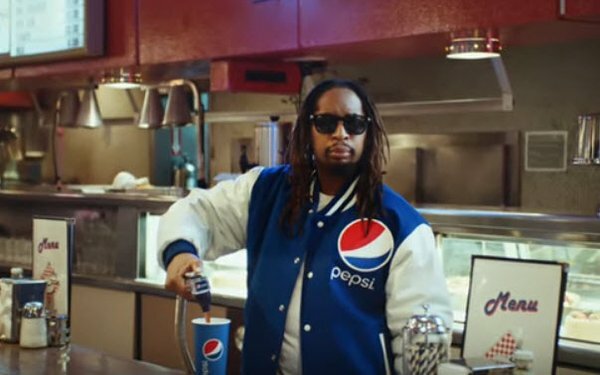 Rapper Lil Jon will be featured in Pepsi’s Super Bowl LIII ad, the brand has revealed via a teaser video (below). The teaser shows the Grammy-winning rapper, DJ and record producer behind numerous hit singles and albums, including 2010’s “Crunk Rock,” pouring a huge Pepsi in a diner. No other clues are offered on the nature of the creative. PepsiCo announced in early January that Goodby Silverstein & Partners was producing 30-second Super Bowl ads for Pepsi and sibling brands Doritos and Bubly. Bubly and Doritos had already released teaser videos, showing that the sparkling water’s game ad will feature Michael Bublé, and the snack brand’s will feature both Chance the Rapper and Backstreet Boys. 1 comment about "Pepsi Teaser Reveals Lil Jon To Star In Super Bowl Ad". John Grono from GAP Research, January 21, 2019 at 8:05 p.m. Nothing says counter-establishment to me more than an African-American rapper spruiking Pepsi.